Looking for a Career Change but now idea where to start? 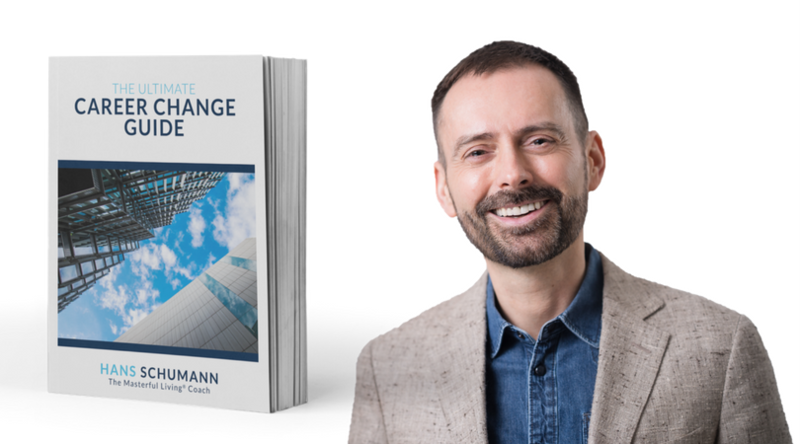 "The Ultimate Career Change Guide﻿﻿﻿﻿"
Hi, I am Hans Schumann, The Masterful Living® Coach. Having worked in law and financial services for over 21 years, I understand modern working life with all its challenges and opportunities. Like many people, I once chose a job that seemed a "sensible choice", but eventually left me unfulfilled und burned out. I felt stuck in the golden cage of corporate life. I finally woke up after a serious health crisis and created a job that I truly love. The tools in this guide are the ones that helped me turn my life around. I now coach executives, professionals and business owners to create careers that are fulfilling and exciting. We can do the same for you, and it all starts with this free guide. YES! I am ﻿﻿ready﻿﻿ to explore what a fulfilling career could look like for me. In this free guide, I am sharing some of the top tools from my Amazon book "Falling in Love With Your Career - How to create more fulfilment and excitment in your career." What is your most effective way of working? What could be your Dream Job?